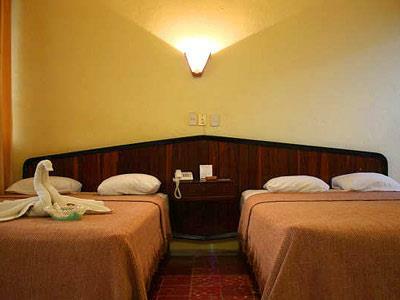 Hotel Palenque offers a variety of services and amenities that make your stay in Palenque relaxing and comfortable. 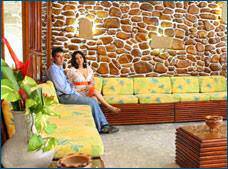 Onsite facilities include a swimming pool, a restaurant and a ballroom. Guests can also take advantage of wireless Internet access and quiet, tranquil guestrooms. Hotel Palenque is just 10 minutes away from the Palenque archeological site, making it an excellent option for your next trip to this area of Mexico. Enjoy a relaxing stay in these comfortable rooms, which feature amenities like room service, air conditioning, a telephone and cable TV.